I finished these four 15mm buildings a few weeks back, but haven’t found the time to blog about it until today. 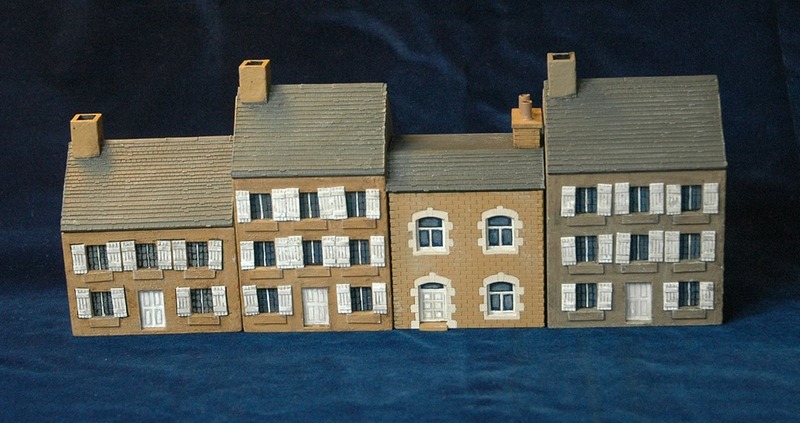 They’re all from Warbase’s 15mm WWII range, though I have done quite a lot of work on them, trying to get them to fit in with the HACME buildings I got earlier in the year. They’re quite extensively modified from the base building that comes from Warbases which are made from laser cut mdf and suffer from the things I don’t really like with that type of building. There’s no denying they’re quick to make, but they’re boxy and lacking in texture. And as you can see below, in a picture from the Warbases site, they have all those horrible tabs all over the place. No wonder I normally prefer resin buildings. For my buildings I’ve used filler on the corners, added window sills from plastic card and made my own door and shutters, ones that look more like what’s common in Normandy than the ones that come with the kit. Then I texture the whole thing with pva glue mixed with filler. I’ve also joined up two of the widows to make a larger shop window, added a sign printed out on cardboard and textured the roof with some of the tiling sheets made by Warbases themselves. Here’s what my version of the building above looks like. Here are the HACME buildings I finished in September. Mixed in a row, HACME and Warbases. They fit together fine. 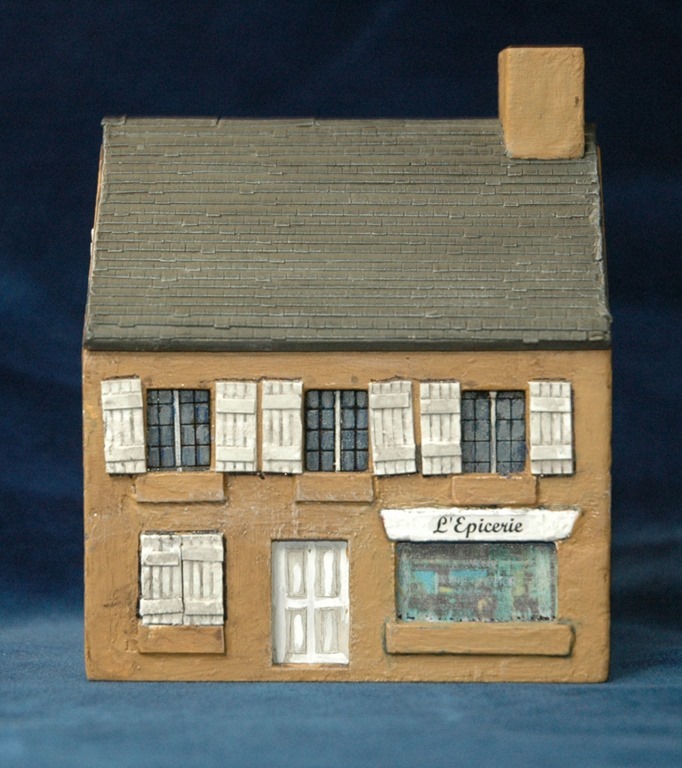 In the new year I think I’m going to try the same detailing and texturing techniques on one of the unpainted buildings offered by 4Ground – probably the one below. Next story Ready for Longstreet!